Last Days is filmmaker Gus Van Sant’s fictional meditation on the inner turmoil that engulfs a brilliant, but troubled musician in the final hours of his life. Michael Pitt (The Dreamers, Hedwig and The Angry Inch) stars as Blake, an introspective artist whose success has left him in a lonely place, where livelihoods rest on his shoulders, and old friends regularly tap him for money and favors. 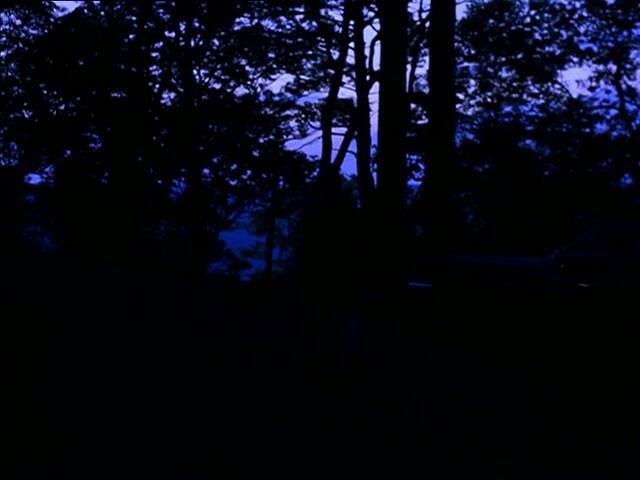 Last Days follows Blake through a handfull of hours he spends in and near his wooded home, a fugitive from his own life. Expanding on the elliptical style forged in his previous two films, Gerry and the Palme d’Or winning Elephant, Van Sant layers images and sounds to articulate an emotional landscape creating a dynamic work about a soul in transition. The art of Gus Van Sant and his contemporaries (Ming-liang Tsai, Alexsandr Sokurov, Hsiao-hsien Hou, Abbas Kiarostami, Zang Ke Jia, Michael Haneke, Jeremy Tarr, Luc and Jean-Pierre Dardenne, amongst others) is the art of the realist cinema – from the beginnings of Thomas Edison and Louis and Auguste Lumière, to the documentaries of Robert J. Flaherty and Joris Ivens, French poetic realism and Italian neorealism, the “mise-en-scène æsthetic” of Jean Renoir or Orson Welles, to the art of Robert Bresson and the anti-montage of Andrei Tarkovsky. Because the realist cinema in its contemporary form is one of the most debated, my analysis of Last Days is meant to serve on the more foundational level of basic realist theory, for the purpose of providing broader critical context in which this film resides in. Contemporary realist films are not limited to classic realist theory – they are, of course, new forms of cinematic realism – but in some ways such analysis does strike at the heart of them. Last Days, in many ways, is a reflection of the realist cinema in its most foundational level, perhaps even its purest state. Realist theorist Siegfried Kracauer argues that cinema is not a traditional art and shouldn’t be. (1) This implies strongly that an untraditional reading of any realist film is needed in order to begin to understand the wealth of complexities that lie beneath its surface. One prevailing complaint against films akin to Last Days is that they are about nothing. This is true: in a traditional sense, Last Days is ‘about’ very little, its lead character, Blake (Michael Pitt), rummaging through the forest mumbling to himself, with lengthy scenes of him preparing food (rather poorly, might I add), and so on and so forth. Developing a complex plot isn’t the purpose of realist cinema: the narrative that drives such films isn’t a ‘plot’, but what Kracauer calls a “found story”, the story that emerges from the filmmaking. Last Days is a “found story” in every sense of the term; like Vittorio De Sica’s Ladri di Biciclette (The Bicycle Thief, 1948), a favourite of Kracauer, its simplicity and short time span (48 hours) are stressed. (2) The stark ‘absence’ of a traditional plot shouldn’t be the key cause for complaint against Last Days, but the key cause for perhaps a different form of interpretation. If a realist film finds its basis in reality, than how does it say anything at all? Perhaps this is the signature complaint against the realist cinema, especially in its contemporary form: how can one interpret such a work? In its realism, does Last Days say anything beyond its “found story”? Such a complaint strikes at the heart of realist cinema – its status as an art, rather than a simple reproduction of nature – and my response is a lengthy one. First, in order to learn to interpret realist cinema, an initial distinction must be made. It is true that the realist cinema finds its basis in reality, but that isn’t to imply it does not acknowledge film’s formative qualities, or that film is an abstraction of reality. Kracauer describes these two approaches to cinema as “the two main tendencies” – that is, that cinema, since its beginning, has been dominated by two opposing forces – those in the Lumière (strict realist) camp that urge to record reality, and those in the Georges Méliès (formative) camp that urge to transform and abstract reality. Kracauer, even though he is primarily a realist, acknowledges that both approaches have their accuracies, but it is the successful fusion of the two that he labels “the cinematic approach” (3). If Last Days is a true “found story”, then it strikes a balance between both tendencies. This is where the distinction is made: Last Days is not a simple recreation of reality, but indeed transforms and comments on reality as well. Take the metaphysical transcendence of Blake at the film’s ending: such a concept is not a simple recording of nature, but it is a transformation of it. This particular transformation is difficult to analyse, given that it resides on a more ‘spiritual’ level – akin to the ‘journey into another world’ segment of 2001: A Space Odyssey (Stanley Kubrick, 1968) or the ending of Mouchette (Bresson, 1967). Even still, such a transformation exists as a comment on reality purely because it is metaphysical. 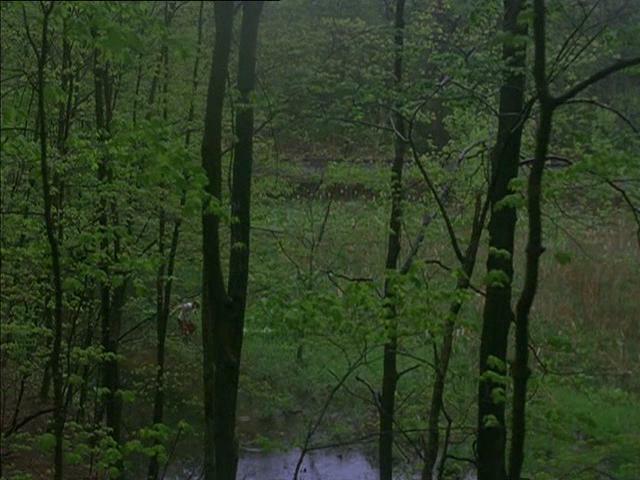 One of the key transformations of nature in Last Days that can be analysed more literally is Van Sant’s use of sound. Like Gerry (2002) and Elephant (2003) before, the sound in Last Days cannot be seen as strictly diegetic: the exaggerated nature sounds, the characters who sound as if they are slugging through a puddle as they walk through dry ground, the mysterious sounds of a choir and what seem like church bells. I have no specific interpretations for these sounds, other than they resonate as something spiritual, much like the metaphysical aftermath of Blake’s death, foreshadowing the inevitable physical return to earth and transcendence to another plane of existence. Much of the use of sound is less transcendental, however, and is a reflection of Blake’s mumbling, slightly-conscious final existence – in the realm of what Kracauer describes as “special modes of reality”. He writes, “films may expose physical reality as it appears to individuals in extreme states of mind generated by […] mental disturbances, or any other external or internal causes” (4). 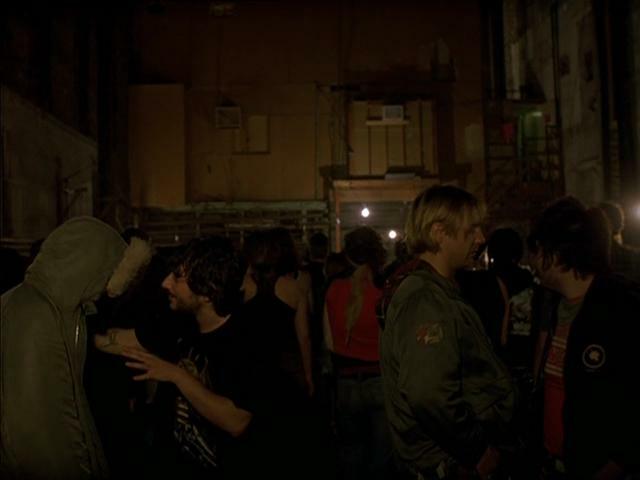 Van Sant uses sound in this way once in Elephant to imply one of the killers’ special mode of reality, in a scene where the sounds of the cafeteria begin to heighten and overwhelm. In Blake’s case, the nature sounds may be a result of his interpretation of the world surrounding him, but it is more strongly implied in the case of artistic expression. One of the film’s most mesmerizing sequences is where Blake rehearses a song, in which Van Sant melds both diegetic and nondiegetic sound to create the inner creative state of the mind of Blake. Of course, for Last Days to be a true realist film in the Kracauerian sense, its infusion of both realist and formative tendencies must include the art of the recreation of nature, not solely the art of transforming it. The art of realism is a bit harder to grasp – it is easy to see how films transform reality for the sake of commenting on it, and even how they recreate reality – but how the recreation of reality becomes a form of interpretation of reality is a little less obvious. One basic way of interpreting reality cinematically is what the director chooses to include and not include in the “found story”. Blake’s final 48 hours are not conveyed in a film that is 2,880 minutes long – and Van Sant was selective in what portions to show of those final hours. This may seem base, as selection is key to any type of film that is edited in any way, but such selection is more important to the “found story” than any other type of film. A film in which narrative forms a more significant part of its meaning, or at very least construction, tends to exist outside of reality in which editing exists within the story world. A “found story”, however, is meant to exist within the natural world to a much greater extent than more formalist films, and what the director chooses to observe and to include (and what not to include) in the film becomes more important as a result. Take the example of following a person around with a camera for two days of their life, and then whittling those two days down to 90-or-so minutes. What one chooses to fixate the camera on and what is cut out of the two days become a significant part of what narrative and themes develop as a result. Vittorio De Sica’s camera drifts away from a discussion the lead character is having at one point in The Bicycle Thief and onto a small boy begging a passerby for cash. The interpretation in this case is the choice of observation; the scene becomes much less about the discussion of the lead character, but rather an example of the extreme poverty of the environment that the character resides in. The cinema has taught us more about man in a few years than centuries of painting have taught: fugitive expressions, attitudes scarcely credible yet real, charm and hideousness. The final charm of cinematic realism are these “fugitive expressions”, which Kracauer describes as “the transient […] the shadow of a cloud passing across the plain, a leaf which yields to the wind” (6). The art of Last Days, and all three of the films in Gus Van Sant’s trilogy on death, is the art of capturing and observing man before his inevitable demise. The long takes of the humans that inhabit the cinematic realities of Gerry, Elephant and Last Days are the final beams of light that enter the lens of the camera before these characters are slaughtered. One may complain that the length of the takes in all three films are too long and are boring, but I argue that they can never be long enough. We are only offered a minute amount of time in nature before a flower begins to wilt, and such is the same with human existence. The long-take cherishes its transient characters, the short-take wishes to rush past them. None of my analysis is necessarily meant to imply a contemporary cinematic hierarchy with films akin to Last Days at the very top; unlike Kracauer, I am not arguing what cinema should or shouldn’t be. Not all films should be similar to Last Days, but it is important to recognize Gus Van Sant’s film and the work of his contemporaries for what they are, not for what they aren’t. 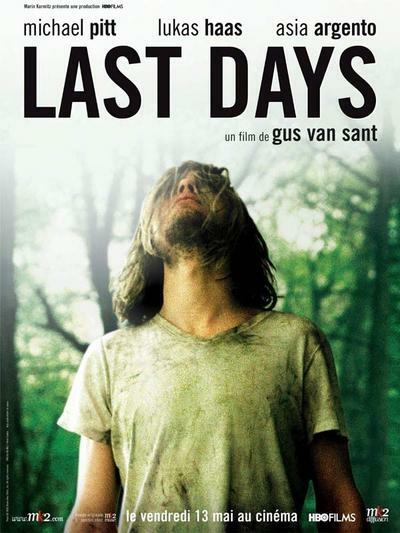 A film with a similarly minimalistic treatment of death is Gus Van Sant’s 2005 picture, Last Days. 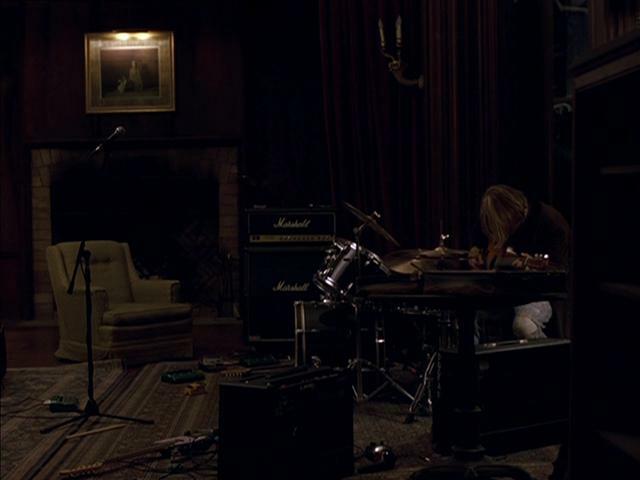 Like Sokurov’s film (Mother and Son), a portrayal of the final days in the life of an individual, in this case a drug-addled rock star based on Kurt Cobain, Last Days compounds its sense of impending mortality by employing a corresponding æsthetic strategy which takes the form of a matter-of-fact approach so relentless in its banality that it comes to represent a terminal point in the cinematic employment of minimalism. 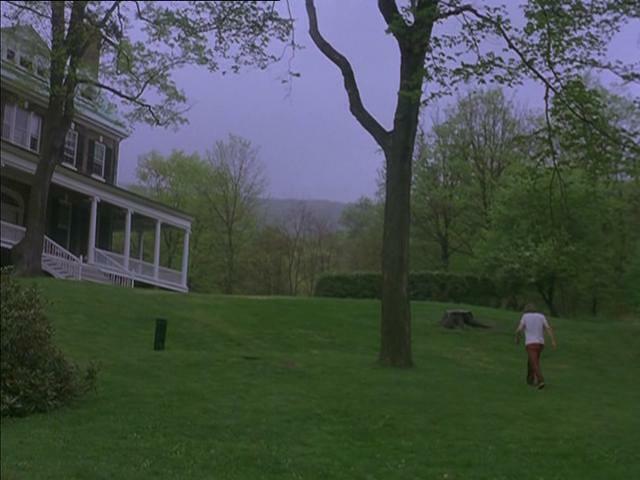 As the rock star Blake (Michael Pitt) wanders in a daze throughout a large country house and its grounds, the film gives weight to the extreme quotidian monotony of the character’s final days, reaching the apex of this approach in a long scene in which Blake prepares a box of macaroni and cheese. Like Snow’s film (Wavelength) and to a lesser degree Sokurov’s, Last Days has no substantial content, so that it too is really only about itself and its own form: its evocation of banality, its multiplicity of narrative viewpoint. Jonathan Rosenbaum, who did not like the film, described it as a “programmatic, mannerist experiment because it offers so little content apart from vague intimations of the Cobain myth”, but it is this very lack of content that puts the emphasis on its terminal æsthetic and grants the film its delirious power. (4) The film’s relentless pursuit of its own form in expressing the concluding moments of a human life marks it as a true work of terminal cinema.